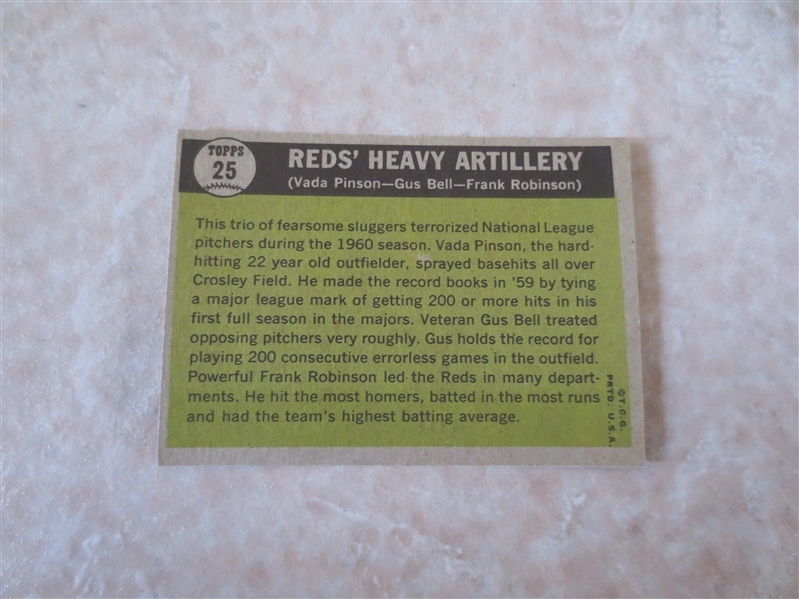 Lot Detail - 1961 Topps Reds' Heavy Artillery Frank Robinson baseball card #25 A beauty! 1961 Topps Reds' Heavy Artillery Frank Robinson baseball card #25 A beauty! 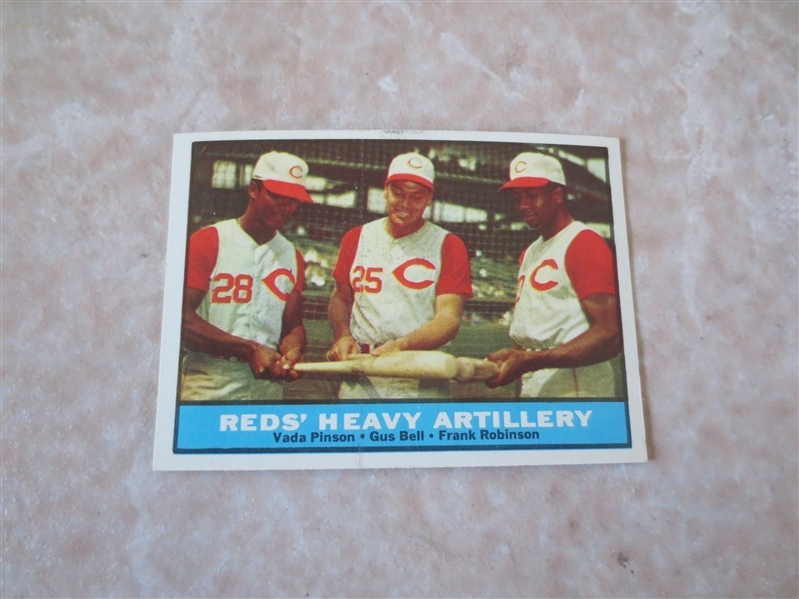 What we have here is a 1961 Topps Reds' Heavy Artillery Frank Robinson baseball card #25 in beautiful condition.